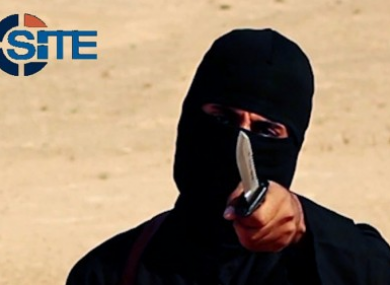 Mohammed Emwazi, known as Jihadi John, was believed to be part of the cell before he was killed. THE UK HAS suspended cooperation with the United States over two Islamic State terror suspects following concerns that they could face the death penalty. On Monday, the UK government said it was sharing intelligence to help the United States bring to trial two fighters captured in Syria, who were part of a group of British jihadists nicknamed ‘The Beatles’. But Home Secretary Sajid Javid, the interior minister, faced intense criticism after agreeing to share intelligence without seeking assurances the men would not face execution if they were extradited. The Home Office has now said it had agreed to a “short-term pause” of the mutual legal assistance process with the US over Alexanda Amon Kotey and El Shafee el-Sheikh after a request from lawyers acting for one of the men. We have agreed to a short-term pause. The government remains committed to bringing these people to justice and we are confident we have acted in full accordance of the law and within the government’s longstanding MLA policy. On Monday, Security Minister Ben Wallace told MPs that a British trial was unlikely for the pair, who were seized earlier this year by US-backed Syrian forces. Kotey and Sheikh were part of a four-member kidnapping gang within the so-called Islamic State group dubbed ‘The Beatles’ by their captives due to their heavy British accents. The cell is also believed to have included Mohammed Emwazi — known as “Jihadi John” — who was killed in an air strike in 2015, and Aine Davis, who has been jailed in Turkey. They were notorious for videotaping beheadings and are believed to have killed US journalist James Foley and many Western aid workers. The US-backed Syrian Democratic Forces caught Kotey in January as he tried to flee Syria for Turkey, while a US defence official said in February that Sheikh had also been captured by Syrian rebel forces. Email “UK suspends cooperation with US over fears 'The Beatles' Isis suspects could be executed ”. Feedback on “UK suspends cooperation with US over fears 'The Beatles' Isis suspects could be executed ”.